The first ODI between India and Australia turned out to be a good start for the hosts in the ongoing series, producing a complete performance to record a 26-run win. The much-hyped five-match ODI series between India and Australia got off to an entertaining start, especially from the perspective of the Indian fans, as the hosts dished out a complete performance in the lung-opener in Chennai to get off to a winning start. After captain Virat Kohli opted to bat and announced a team with three seamers and two wrist spinners, the Indians were off to a disastrous start, with the top-order crumbling in the face of testing spells by Nathan Coulter-Nile and Pat Cummins, the former bagging three early wickets to leave the hosts in tatters at 11/3. Kohli, who equalled Ricky Ponting by scoring his 30th ODI ton, was dismissed for a four-ball duck. At 87/5, the hosts looked down and out. 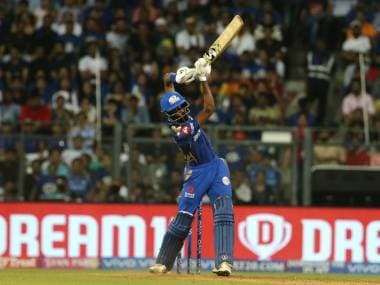 However, the situation was also a chance for them to exhibit the depth in their batting order, and scintillating half-centuries by Hardik Pandya (83) and MS Dhoni (79) brought them back on their feet, helping them finish on a challenging total of 281/7. After a prolonged rain delay that caused Australia's target to get truncated to 164 from 21 overs, Pandya went on to shine with the ball (2/28), and together with Yuzvendra Chahal (3/30), helped trigger a collapse that the tourists could never quite recover from. Only three batsmen in the Australian line-up could cross the double-figure mark as the visitors finished at 137/9. Ajinkya Rahane might be the vice-captain of the Test team and is as vital to the Indians in that format as Ravichandran Ashwin is. 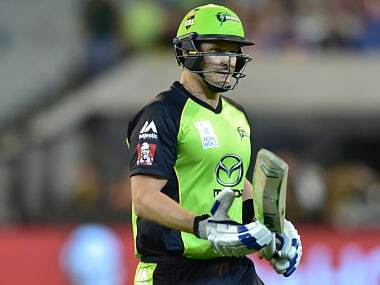 But his limited-overs credentials have taken a beating for quite some time now, and his failure with the bat at the top of the order on Sunday was another blow to his hopes of establishing his hopes of cementing a spot in the limited-overs side. 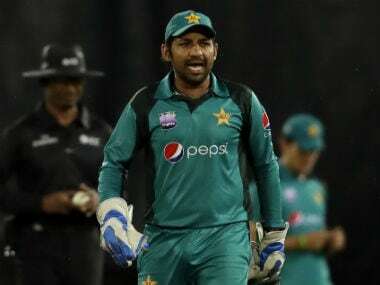 He walked out to open alongside Rohit Sharma in the absence of regular opener Shikhar Dhawan, and struggled to score five runs before nicking one to the wicketkeeper off Coulter-Nile. It must be a lovely sight for Kohli and the team management to see Pandya blossom the way he is at the moment. 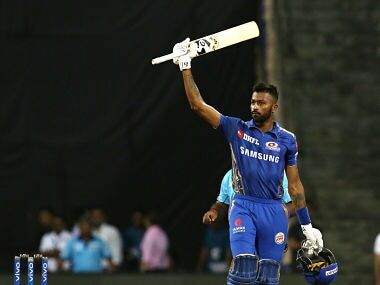 Pandya has been a rising star for quite some time now, and showed himself as someone who can carry his attacking ways over to the Test arena as well, cracking a half-century on Test debut and following it up with a century not long after. Sunday saw him take the attack to the Australian bowlers when the hosts were in the dire straits, and was virtually in charge during the 118-run stand with Dhoni. The energy that he displayed on the field, his clean-hitting abilities as well as handiness with the ball later in the match was yet another reminder of the complete player that he is. While Pandya tore apart the opposition bowlers with the big hits, Dhoni was going about business quietly at the other end. It took him 67 deliveries to get his first boundary, and 75 deliveries to his half-century. However, he did accelerate towards the end, hitting four boundaries and two classic sixes, one of which was an effortless loft over long-off in his typical style. The former captain's transformation into the anchor from the floater that he was always considered to be is what this knock exemplified. Coulter-Nile and Cummins bowled their hearts out in the opening spell, using the extra bounce that was on offer to good effect and bowling wide outside off, with the ploy resulting in three out of India's top four batsmen falling cheaply. All-rounder Marcus Stoinis later bowled a decent spell, getting rid of both Rohit and Kedar Jadhav to reduce India to 87/5. However, they couldn't quite sustain the pressure on Pandya and Dhoni, and eventually let the game slip away, with India adding 194 runs for the next two wickets. With Finch missing out on the first match due to a calf injury, Hilton Cartwright earned his maiden ODI cap. However, he hardly proved to be an ideal replacement as David Warner's opening partner as he failed to adjust to Jasprit Bumrah's rapidly-changing lines, getting his off-stump knocked over with a delivery that stayed low and angled sharply into his stumps. The need of the hour for the visitors in their chase of the 164-run target from 21 overs was a quick start. 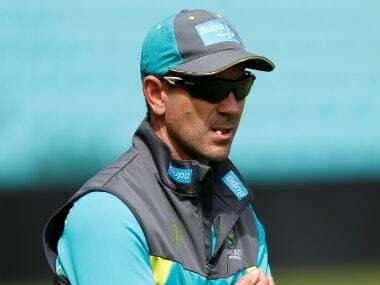 For now, the Australian team management will be awaiting Finch's recovery anxiously. Cartwright, on the other hand, will have to make up for the blip in the next opportunity that comes along his way, if at all he gets one. While Ravindra Jadeja and Ashwin wreaked havoc on the Australian batsmen in the Test series that took place earlier this year, wrist spinners Chahal and Kuldeep Yadav seemed to have taken over the role in the limited-overs format. After Bumrah and Pandya got the early breakthroughs, it was the spinners who befuddled the middle order to further dismantle the Australians, using their guile more than just the turn on offer to keep the batsmen guessing.